Do you have what it takes to pitch your brand in a compelling way that will connect with guys like Scott, Steve Chu, Mike Jackness, and Greg Mercer? What would you do with $50,000? How would that infusion of cash help you take your brand to the next level of growth? 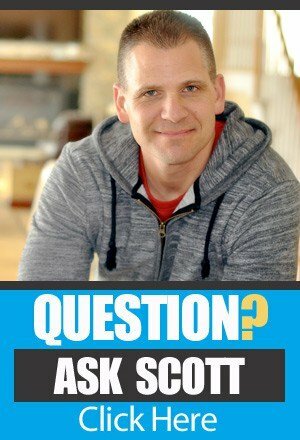 On this episode of The Amazing Seller, you’ll hear from Scott, Steve, Mike, and Greg as they unveil their latest joint venture, “The 5 Minute Pitch.” Get all the details about this fun new contents that you have a shot at winning by listening to this exciting episode, you don’t’ want to miss it! If you want to participate in the 5 Minute Pitch, here is what you need to know. The contest is a Shark Tank style competition where you start off with a five-minute pitch. If you are chosen to move on to the next round, you’ll proceed to a tiered system until one winner is given the $50,000. Who should apply? Any startup business that needs a fresh infusion of cash – software companies, membership sites, physical products, anyone who is bootstrapping their business. If you are interested, make sure to check out the link to get started, located in the resources section at the end of this post! How to increase your chances of winning. What is the secret to increasing your chances of being selected and eventually winning the 5 Minute Pitch? Is there a magic formula? On this episode of The Amazing Seller, you’ll hear from the guys as they let you in on some of the keep aspects they are looking for when it comes to awarding the $50,000 prize. At the end of the day, it all comes down to personality, story, and presentation. If you can nail all three of these aspects, you’ve got a great chance for success! Want to hear more about what that looks like? Hear more details from the guys by listening to this episode! Let’s face it, no one connects to a boring story. If you don’t have something engaging and exciting to share, don’t bother applying! You don’t have to make something up, just look for ways to reframe and share your story in a compelling way. Do yourself a favor and take a look at a few episodes of The Profit and Shark Tank before you sit down to start working on your 5-minute pitch. Don’t miss this awesome opportunity to hone your pitch skills and win a $50,000 prize! Make sure to check out the resources section at the end of this post and listen to this episode for more details that will help you craft a compelling pitch! [3:00] Who should submit their 5 Minute Pitch? [5:45] What will the guys look for in a successful 5 Minute Pitch? [8:00] How important are the people behind the brand? [12:00] Steve talks about how the whole process will work. [17:15] Tips for a pitch that will win. [19:45] Let your personality shine & practice your pitch! …I got four guys, well, three guys. Including me, I guess that’s four guys. I’ve got four of us on this podcast and a bunch of my friends here that we have something really, really exciting to talk about to announce here and it’s something we’re calling the 5 Minute Pitch and we’re about prepared to give away $50,000 in a prize to one business and, yeah, this is exciting stuff. We got Steve Chu, we’ve got Greg Mercer, we got Mike Jackness. What is up, fellas? You guys excited or what? [00:00:45] Mike: Hey, hey, hey. [00:00:48] Steve: I’m going to be low energy to counteract your high energy. [00:00:53] Scott: Well, Steve, I’m not really sure you are prepared for the energy and I know it’s a little early there in the morning where you are, but I’m always fired up. You know that. So, I want to kick this off because I wanted to do this episode to kind of let people know like how we even came up with this idea and then talk about what the 5 Minute Pitch is. How did we come up with this idea? Who wants to start with that? [00:01:17] Mike: I don’t remember exactly but I remember there being liquor involved. [00:01:22] Steve: Actually, I think Greg started it with his Go Pitch Win and we all took part of it and then we filmed the final episode at Sellers Summit and then we realize we got some chemistry, right guys? [00:01:36] Steve: And so why not take this to the next level? [00:01:39] Greg: Yeah. It was fun to do. It was really fun to hear everyone’s pitches and getting like these entrepreneurs who are ready to take their business to the next stages. So, yeah, like I think everyone here is really passionate about working with that crew and we want to do it again and do it a little bit bigger this time. [00:01:56] Scott: Yeah. I mean, the one thing I remember Steve saying we were sitting, I remember how this all happened, Steve, by the way. We were sitting at the table. [00:02:03] Steve: Were you sober at the time? [00:02:05] Scott: I was sober. [00:02:05] Mike: Yeah. You were drinking less. [00:02:06] Scott: Yes. I wasn’t drinking that much at that time and you had said, “We got to really do this again. This was a lot of fun and it’s a way for us to get together and hang out three times, so we can meet up in person.” So, I said, “Well, let’s make it happen.” So, that’s where the idea came from but then we started to kind of go over the idea of like how awesome it would be to be able to really allow businesses really pitch us in five minutes. I think the thing was if you can describe your business in five minutes and if we found that it was interesting enough to move on to the next round then we would go ahead and do that and that’s kind of how we came up with this whole thing, the 5 Minute Pitch. And so, with that all being said, why don’t we talk about like the criteria. So, if someone’s listening right now or know someone that has a business that might qualify to be an applicant, what would they need to really be as far as a business at this point? I know we’re looking at bootstrap businesses but, Greg, why don’t you talk a little bit about that? [00:03:09] Greg: Yeah. So, if you have a bootstrap online business or know someone that does that is interested in getting feedback from these four judges, interested in telling more about their business to the rest of the world and have a chance to winning $50,000 then this competition is fantastic for you. So, it’s a Shark Tank-style competition. You start off with a five-minute pitch. If you’re chosen to move on to the next round then it’s a tiered system until one winner is given with the $50,000 but if you have a software company, a membership site, a physical products business or really any other type of like bootstrap online business then you’re an excellent candidate for the 5 Minute Pitch. [00:03:47] Scott: Yeah. 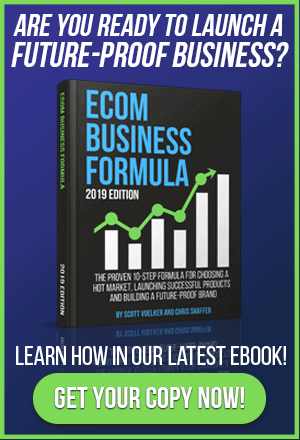 That’s great and I mean the one thing and I want to talk about like the different business opportunities that are out there like a lot of people in our world is in the e-commerce space, but I mean all of us have also digital products in some way. So, I want to talk a little bit about the business opportunities out there as well and let people know that are just listening that there’s more than just the physical product, there’s a whole bunch of other things that you could be doing but I also want to really dig into like when we’re going through this process what we’re looking for and I think like what people can take away from watching us go through these businesses. Because I mean I don’t know about everyone else listening and I know you guys are pretty much on board but when I watched Shark Tank or when I watch The Profit, I’m looking at it like as how those successful people that are investing like you got Marcus Limonis or you have any of the judges on Shark Tank, what’s their criteria like what are they looking for? And it’s funny because they debate back and forth, and I know all of us that had a little bit of debate even when we were doing Greg’s show when we were kind of going back and forth on that, we all didn’t 100% agree which I think that’s where the learning happens because there’s no really one way. There are all different angles that you can approach a business. So, let’s dig into that and I guess before I do though let me mention that if you feel like you are maybe an applicant for this, head over to 5MinutePitch.com and I’ll leave that in the show notes to this episode as well which will be 554 so TheAmazingSeller.com/554 or just go directly to 5MinutePitch.com and you can go ahead and fill out all the details there and we will be collecting applicants and we will be selecting the applicants to be moving on to the 5 Minute Pitch rounds. So, Steve, you want to maybe talk a little bit about like just the opportunities that are out there that people might not just be aware off but also like the different businesses that we hope to be kind of looking at? [00:05:48] Steve: You know, I know for me when we were doing the Go Pitch Win project that was Greg’s, I found myself gravitating towards companies that had a really strong likable team and for me at least when I was evaluating, a lot of it had to do with how much I like that person and how competent I thought that person was because bottom line if you’re going to launch a product it might not be successful at first but if you have the right personality, you’ll keep at it and keep making modifications and pivots until that product is going to be successful. So, I don’t want to put any necessarily criteria on the type of company, types of companies that I’m looking at but for me, I think the team and the fact that the product has a really good value proposition like does it really stand out among the crowd. And I guess the secondary aspect of this is how scalable it is. There are a bunch of companies when we’re doing Go Pitch Win that were really great products, but they didn’t really have a good delivery mechanism to reach the masses. [00:06:47] Scott: I think that’s an important point. Mike, I want to get your take on this but like – and Marcus talks a lot about this on The Profit is like people, the people behind the brand, their mission maybe or their story like all of those things matter. That’s what I’m excited about. I’m excited about hearing some of these just different business or bootstrap businesses that have started from the ground up and why? Why did they do it? Like what’s the purpose? It’s not just to sell the garlic press that we’ve all learned to love but it’s more than that like and that’s what I’m excited about and I know Greg you talk a lot about like just helping people create freedom businesses and that’s really what we’re doing here like we’re trying to help people and by doing this help people in the process too by watching us kind of analyze and go through and also just be like, wow, I never considered that a product or a business and, wow, look at how they discovered their products. There was one on the Shark Tank where this couple they created this I think it was a swaddle of some kind. I forget what it was, but they did it because they couldn’t find one in the market and they were bootstrap like $500 and they built this thing into like I think at the time it was like almost $1 million company just with them and because they created such a strong audience in their marketplace. And then they would ask their followers what colors they like or what styles they like and then they would just sell them so easy. That’s what I’m excited about. So, Mike, what’s your take on that like how important are people behind the brand? [00:08:16] Mike: Yeah, man. I think it’s definitely super important. I mean going back to Go Pitch Win again, the people that made it towards the end were awesome people. Now, the final couple that we’re down to, one was a military family. They were just super energetic and were working from their garage and they come up with a really new product. The other guy, again, super awesome and the guy like had some real estate background and took his entire real estate checking account from a commission check from one of his sales and put the entire thing into his business so like seeing things like that definitely go a long way versus having someone that’s just kind of like wishy-washy about what they’re doing., I mean, I think we’re looking for people that are all in and go-getters and things to that nature. They’re going to really utilize their money to the best of their ability because the $50,000 that we’re giving away here is not an investment in their company. We’re not going to own any equity in them. It’s a prize and we want to see a cool story to help Season 2 of 5 Minute Pitch or Season 3 and we’re having some big case studies of that of where people have taken that prize money and done something cool with it and I think that’s probably the criteria we’re going to be looking for when we select the winner. [00:09:24] Scott: Yeah. That’s cool. What about you, Greg? [00:09:26] Greg: Yeah. I think something that the companies have had in common that have been successful in the past. We spoke a little bit about the founding team. Just to add to that real quick. We would look for people who have at least a short track record of a commitment for success in the past as opposed to people who just have an idea and what the $50,000 to get started. We want people who have a certain level of commitment and kind of like were put into this already, so I think that’s really important. In addition to that, I think that it’s important to have at least some sort of kind of like a business plan in place. I’m not talking about like a formal document that you need to submit but a plan to show that you can scale this company up in the future. There is going to be like a certain level of success to it if you can implement this plan or have the cash to help you with that plan. So, those of you like a few examples of things that we’re looking for in the company that will win the $50,000 prize. [00:11:32] Steve: Is that just because I’m Asian. Is that why? [00:11:34] Scott: Oh no. Let’s not get into that now. [00:11:36] Steve: We’re going racial here. [00:11:37] Scott: No, no, no. Come on now. Now, that’s hysterical. [00:11:44] Scott: That did. That was a little uncomfortable. [00:11:49] Scott: Yeah. Let me ask you, what are we looking for as far as contestants? I know that I think we had a number that we were shooting for to start the show and then how is it all going to kind of get narrowed down? [00:12:01] Steve: Yeah. I think we’re going to start out – we’re looking for 32 contestants to give a 5 Minute Pitch and then from there, we’re going to narrow it down round by round. I think we decided that we’re going to go to a round of eight followed by a round of four, two, and then finally select the winner and I believe for the winner we’re actually all going to spend some time and really try to help the company in addition to the prize money. [00:12:23] Scott: Okay. Yeah. That’s cool. So, 32 is what we’re looking at the start and then from there, we’re going to be narrowing that down. I know we’re going to get together in person to kind of go over those 5 Minute Pitches. We’re going to do that with them being almost in the room. We’re going to get them on camera. They will actually pitch their idea and then we will say yes or no, move on. So, it’s going to be more than that that we’re going to be looking at to get to the 32 and we’re going to kind of watch that process. And then from there, we’re going to keep narrowing it down and then what we’re going to do, how many people are we going to have come to the finale where we’re going to actually narrow them down? Why don’t we talk about that? Do you know that number yet, Steve? Have we figured it out? [00:13:03] Steve: I believe the answer was four if I recall correctly. [00:13:07] Scott: Okay. Now, this may change, guys, but we’re looking at four right now. You can tell how organized we are here. So, yeah, I think we said four. We’re going to get them in the room with us like a Shark Tank and then we are actually going to be giving them more than five minutes obviously to actually go through the final questioning and kind of seeing like where they are and kind of like how they will use the money and their plan. I think, Greg, you said I think it’s really important for them to at least have a little bit of a plan moving forward. If they say, “I don’t know. I was hoping that this money would allow me to know what that…” No, that’s not the answer that we want. We want you to have some type of direction so then we can help with the money guide that and then from there you’re able to take that and just apply it and hopefully see some growth. [00:13:56] Steve: And just some words of advice, as you are applying, try to frame your brand in some sort of story that stands out. That always helps and if you just happen to be like we’re all quirky like all four of us are quirky here. There’s some sort of elements of your personality that might be a little bit quirky or standout, I would definitely include that in the application as well. [00:14:18] Scott: Yeah. Absolutely. Mike, you look like you want to say something. Is there something you want to say? [00:14:22] Mike: Well, as I was going to say, first of all, just being Asian doesn’t make you quirky alone. But in all seriousness, we were talking about going to 5 Minute Pitch to sign up if you are interested in being a contestant, but I think it’s also important to go there and sign up to be notified when we launch the first episodes. I think even if you don’t want to be a participant in the show, listening to it it’ll be, and that’s kind of the whole goal is to make some good entertaining material here that four us entrepreneurs we love, and we already talked about the Shark Tank and The Profit. There’s another podcast called The Pitch like these are all things that all of us as entrepreneurs love to listen to and we hope to make content that’s equally as good with this. [00:14:59] Scott: Yeah. Those are some great points and I want people to know like we’re taking this very seriously like we’re going to have high production quality. We are actually going to be flying in together to be in a room to basically go through all these pictures. We’re going to be recording that, we’re going to be editing it down so you’re not just watching us kind of look through this stuff like we’re actually going to be cutting this down so this way here you guys can sit through it but also learn from it and then go through that process where you’re going to have to take up like three hours out of your day. So, we’re going to actually take time and spend money to do this which also brings me to this, Steve. You’re going to like this right here what I’m going to say here because I don’t think you thought of this, but this is happening before we have any sponsorships. If you’re listening to this, I get a lot of people that contact me after one of my show airs and they go, “Oh, I don’t know if you’re looking for a sponsor,” and I don’t take any sponsors usually on my show, only ones that I endorse that I use which will probably remain but if you think that you’d be a good sponsor for this, we are taking applications for that as well. So, Steve, would they send something directly to you seeing that you’re going to be probably handling the sponsorship? 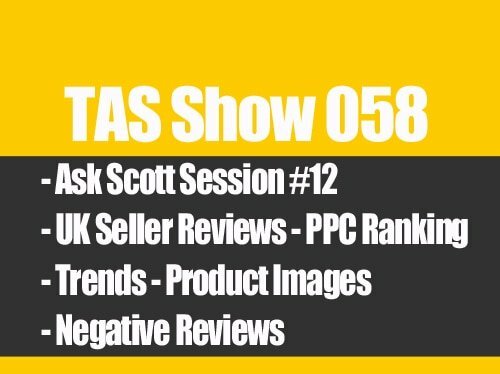 [00:16:09] Steve: Or would they send it to scott@theamazingseller.com. No. Yeah. Feel free to send me all inquiries. I’m going to be taking care of all the sponsorships and keep in mind that we’re going to be sending out all these episodes to all of our four combined audiences which is pretty large I would say especially in this space so, yeah, if you’re interested, hit me up at steve@ mywifequitherjob.com. [00:16:37] Scott: Okay. Cool. And I’ll drop that in the show notes so that way there you guys can do that. Because, again, we’re not going to accept anyone just because you have cash to invest in this. We’re looking for this to really cover cost for the production and for us to be able to kind of really make this whole thing happen but not everyone will be accepted there as well. It has to be the right fit. We have to feel it’s going to basically be a product that our audiences would use and that it’s trusted and we’ve kind of vetted. [00:17:06] Steve: It basically has to be a tool that either one of us feels comfortable promoting or use it ourselves for sure. [00:17:15] Greg: Scott, I have a few other tips for people looking to pitch their businesses to us like when we did Go Pitch Win. There’re a few things I think that kind of stood out for people that made themselves great at pitching and also were likely to be chosen for the final prize. One is we want to see a certain level of like transparency into your business so if you’re the type person who’s like really secretive about everything that you do, you’re not willing to share this, that, and the other thing, it’s probably not very likely that you’re going to make it through the final round. We want to know a little bit more about the inner workings of your business. I would like you to share some numbers whether that be revenue or unit economics or anything else, we want to hear a little bit more about that. We want to hear more about the back story. Steve got into this a little bit but why did you get into this type of business, why are you qualified to do a good job at this business. We like to hear that. One of the other things that I think really stood out is I was shocked how many people were able to describe their business to me like in one concise sentence or just like in a concise way like what this business did. Some people start to pitch this and after like two, three, four minutes, I was like, “Wait stop.” So, like what does this business do? Like what do you provide? So, really kind of like nailing those things down I would say really increases your chances of getting selected for the first round and definitely increases your chances of winning the prize. [00:18:38] Scott: Yeah. That’s a good point. Again, guys, if you want to submit your application, head over to 5MinutePitch.com and all the details will be there and also if you want to follow along, definitely sign up there as well so this way here you can be notified when we air the first episode and all the other episodes that we’ll be following. I do want to note something. If this ever is aired as video here, this little conversation we’re having right now, Mike Jackness likes Chapstick. He likes soft, smooth, silky lips so I just wanted to say that. If you did not – if you’re listening to this audio only, you just missed Mike Jackness put on some nice softening protective probably Chapstick. [00:19:20] Steve: It’s funny. I’ve never really looked at your lips before, Mike. [00:19:23] Mike: I mean, Scott, when you were here last week you roughed my lips up when we were making out. [00:19:28] Scott: That’s right. That was in San Diego as well. All right. You can tell guys that we’re going to have a lot of fun here and we have no problem busting on each other so that’s always a good thing as well. Any other thing you guys want to add before we wrap up this episode? [00:19:43] Mike: In one of the things that Greg was talking about with some suggestions when you’re pitching, also let your personality shine. I mean I think again we’ve already talked about how people and personality is a big part of what we’re looking for with this and I think that people with a big personality are fun personality make great content as well so that’s probably one of the things you want to shine through. Also, be prepared. Practice it. You got five minutes to make it to the next round and wow us. Make sure that you’ve practiced and rehearsed it so you’re not kind of a bumbling idiot. Some of the people you could tell just weren’t prepared and there was a lot of ums and, “I don’t know what to do next but with my presentation here.” You’re obviously going to know if you’re going to be one of the 32 people well in advance and just be prepared. This is going to be a big opportunity to inject your business with 50K and best of luck to you. [00:20:35] Scott: Cool. You, Steve, you got anything? [00:20:38] Steve: Yeah. More along the same lines like don’t be afraid to show off your personality. Don’t be afraid to be goofy. Don’t take the presentation too seriously which is kind of opposite to what you said, Mike. But what I mean by that is just be loose. Just go with the flow and just talk about your company in your own words essentially. [00:20:57] Scott: What about you, Greg? [00:20:59] Greg: I’m excited to watch the applicant videos and I’m excited to get started in the 5 Minute Pitch. [00:21:04] Scott: All right. Cool. You were a little broken up there but hopefully, your audio came through, so we’ll check that out and post. But, yeah, I agree. I think we’re all on the same page but one thing I would say is be loose like Steve said. Be loose. Some people are afraid to be on camera. That’s you and that’s okay. Don’t let that hold you back because this could be a big opportunity for you. Maybe you’re right on the cusp of really like being able to pour gas on the fire and being able to pour $50,000 on it in your business. That could really, really take it to the next level and we’d love to be a part of that. So, don’t let that hold you back. If I thought about everything that I say wrong on my podcast, I would have never aired a podcast episode. So, just keep that in mind. [00:21:51] Scott: So, that’s it. That’s what I got. I’m going to wrap this up by saying, guys, if you want to go ahead and submit your business to be potentially on the 5 Minute Pitch, head over to 5MinutePitch.com. Get all the details there if you want to watch along. Do that as well and the episode here is TheAmazingSeller.com/554 and, guys, I’m going to have you do something which I do at all the end of my shows. All right, guys. Remember on the count of three, guys, we’re going to remind them something. Guys, you ready for this? We’re going to do this. Greg knows what’s happening right here. [00:22:22] Mike: I don’t know what I’m getting myself into here but, man, I’m going to follow you off the cliff man. [00:22:27] Steve: Is it take action? [00:22:28] Scott: Almost. Here we go. All right. Here we go. All right, guys. Remember as always, I’m here for you, I believe in you, and I’m rooting for you, but you have to, you have to, come on, say it with me, say it loud, say it proud, on the count of three are you guys ready? [00:22:41] Mike: I don’t know what I’m saying. [00:22:43] Scott: One, two, three. Take action! [00:22:47] Scott: All right. We need to work on that. We got to work on that. [00:22:49] Mike: All right. Let’s do it one more time. One more time. We can do better showing. [00:22:52] Scott: One, two, three. Take action! [00:22:56] Scott: All right. That’s good. I guess we’re going to work on that. All right. 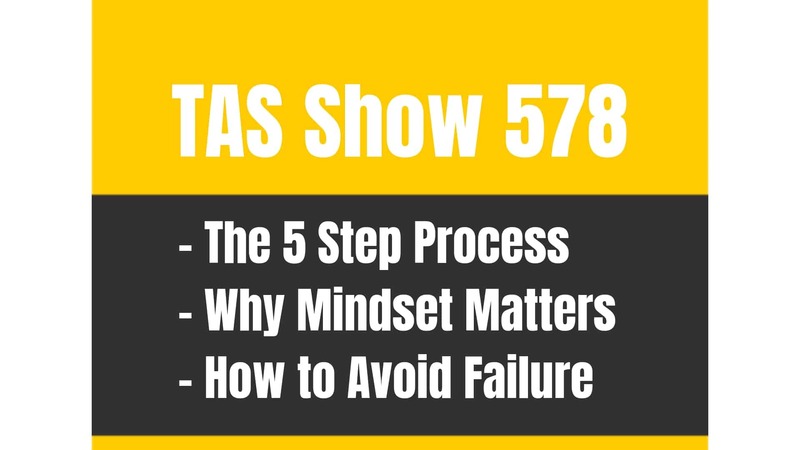 TAS 107 : Why Spencer Haws Decided To Test Amazon FBA…and is So Glad He Did!